Buzz of the week was a sharp fall in the LME copper price, 6.3% to $6490/t and a full 17% below its closing 2012 price. The others, too, fell on the week, but only marginally. Copper is now at a four-year low and inventories are piling up in Chinese warehouses. 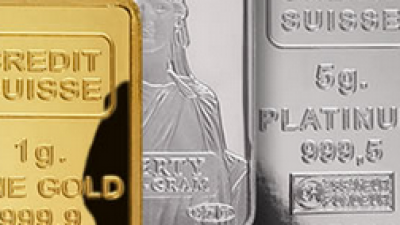 We fear for the Chinese financial system and the fact that the metal is often used as collateral in unrelated financial transactions. 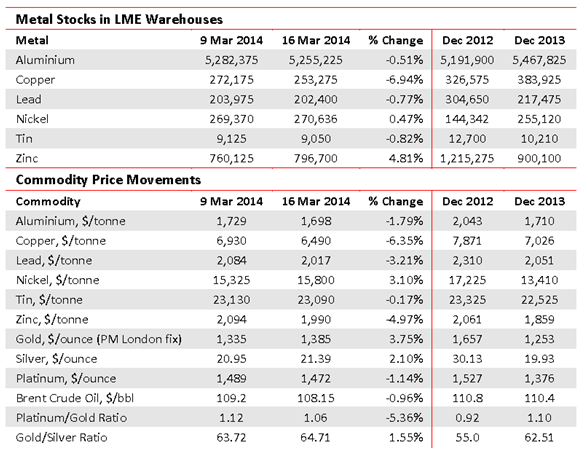 As we show, LME warehouse stocks stand at c.250,000t or only 5 days of world annual demand. Now CRU estimates that Chinese bonded warehouses alone hold 770,000t, nudging towards the historical high of 825,000 in 2012. 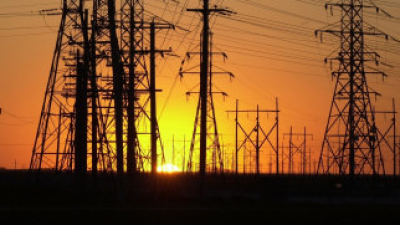 The movement last week was largely blamed not on the user trade, but Chinese speculators. They are rather fond of a gamble. We note in the leader those shares most affected.